NEW YORK -- Mighty Mouse has come to save the Met. "It has to do with the incredible amount of energy and super-heroic disposition, wrapped in a more compact package," she said in an email. "There's a boyish enthusiasm about him that's very sincere, and I think that that brings something different to the table," said Sylvia Danburg Volpe, associate principal second violin. "My impression is that there is a general state of euphoria around the house," Gelb said. "Jimmy was awe-inspiring and then like kind of terror-inspiring," Phillips said. "Not that he was a dictator, but if you hadn't worked with him for a long period of time, you would be terrified. He would just work and work and work, and either you grew or you became very worried about everything that you were doing because he would nitpick so much. I think Jimmy would only nitpick with the people he thought could grow from it." The Met hopes to present some stagings outside its home, subject to union agreements, including Missy Mazzoli's "Breaking the Waves" at the Brooklyn Academy of Music in 2020. While Levine's interactions with students were concentrated to those on an elite track, Nezet-Seguin is opening the house to school groups. A class from Queens attended a "Traviata" orchestra rehearsal, and he answered questions after. A post-opera meet-and-greet is planned for the house's new south entrance space after the second "Traviata" performance on Dec. 7. 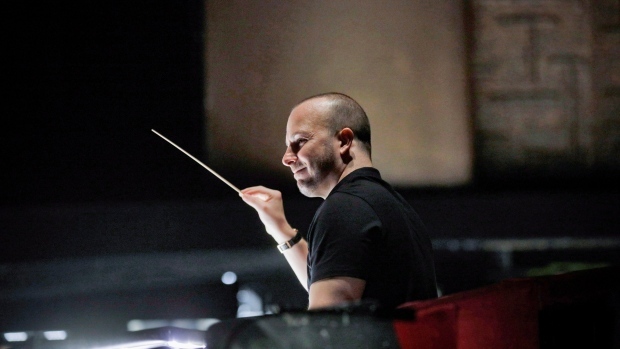 "It's the first time that we had a conductor be able to tell the director what to do," Phillips said. "It's been the other way around for a very long time." Nezet-Seguin is an urbanite without a driver's license, muscular and with a tattoo of a turtle holding a baton on his right shoulder. He has one assistant, Ben Spalter, plus his agency, Askonas Holt in London. Claudine Nezet, his mom, takes care to get his clothes and scores to the right city. His husband, Orchestre Metropolitain violist Pierre Tourville, tends to cats Rodolfo, Melisande and Rafa (named after Nadal) at home in Montreal but intends to move to the new two-bedroom apartment -- a 6-minute walk from the Met -- cats Pelleas and Parsifal have passed on. "I think he will bring with him his incredible enthusiasm and exuberance, wrapped in a huge desire to lift every performance to its utmost potential," DiDonato said. "He has a wonderful way of getting the artists around him to contribute and to participate in a way where all of us have a stake in the quality of what we are giving the audience. I also sense in him a total devotion to the craft -- there is no ego to wade through, no self-serving agenda. This will win the hearts of the musicians, the patrons and the public."